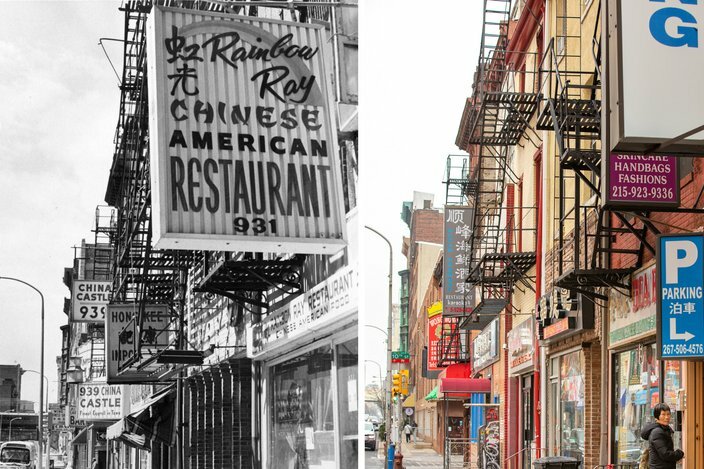 Take a trip through history as we compare how Chinatown has, or has not, changed over the past 50-plus years. 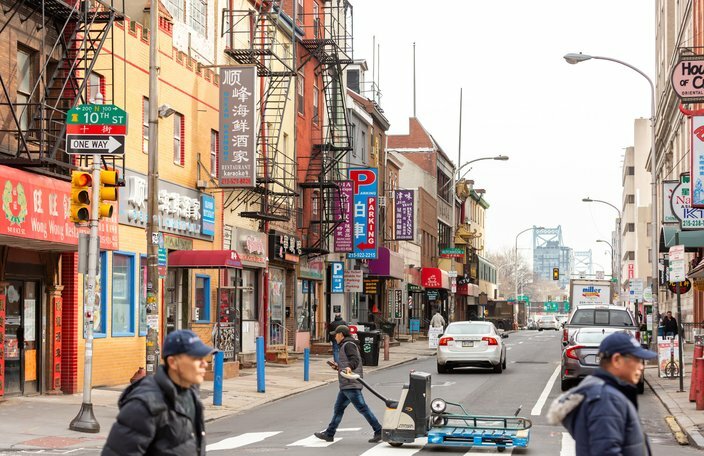 Bordered by Vine, Arch, Broad and Seventh streets in downtown Philadelphia, Chinatown has been part of the city’s landscape since 1871 when a gentleman named Lee Fong opened a laundromat at 913 Race Street. 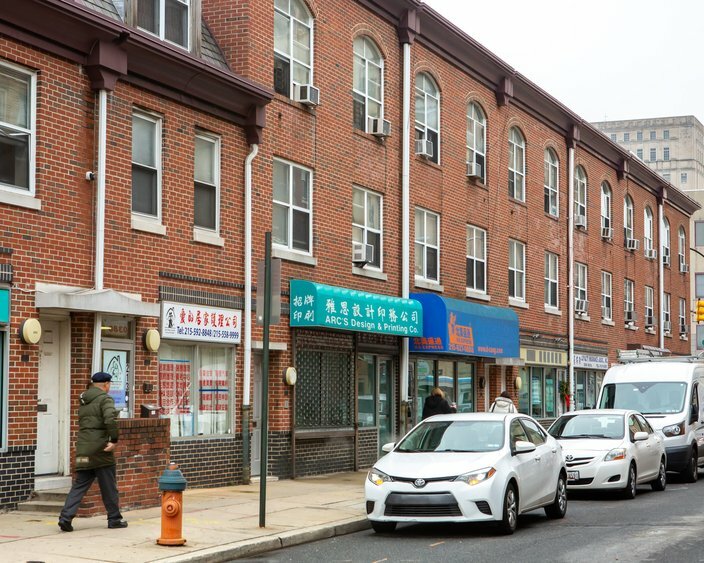 While a historical marker that stands in the location today is the only indication of the laundromat's significance, Fong's business venture sparked a transformation of the area as it grew in popularity with Cantonese immigrants. Over the years the area has seen an ever-changing boundary as blocks have been demolished to build large-scale projects. 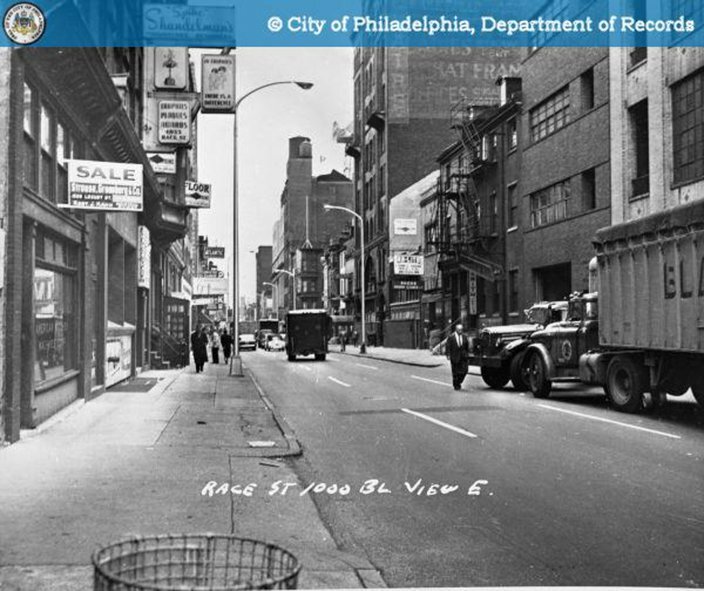 The creation and expansion of the Pennsylvania Convention Center and the construction of the Federal Detention Center and Vine Street Expressway have changed the footprint of the neighborhood over the past 148 years. The Chinese Lunar New Year celebration starts on Tuesday. 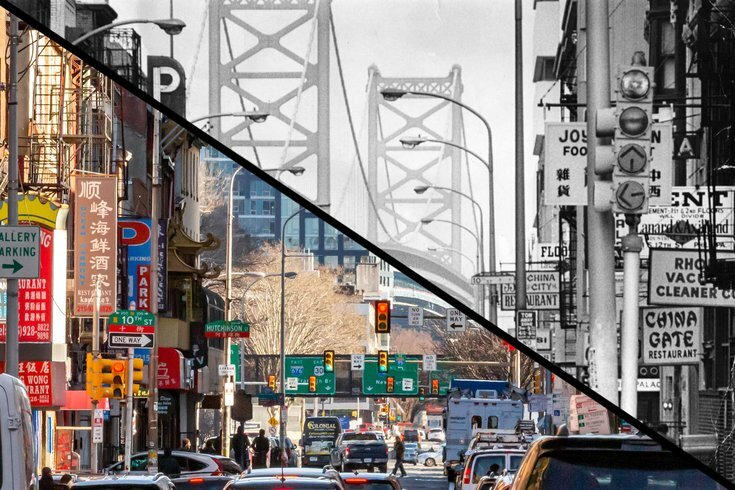 To mark the occasion, PhillyVoice decided to take a trip through history, comparing historic images of the neighborhood with photos of those exact locations in 2019. 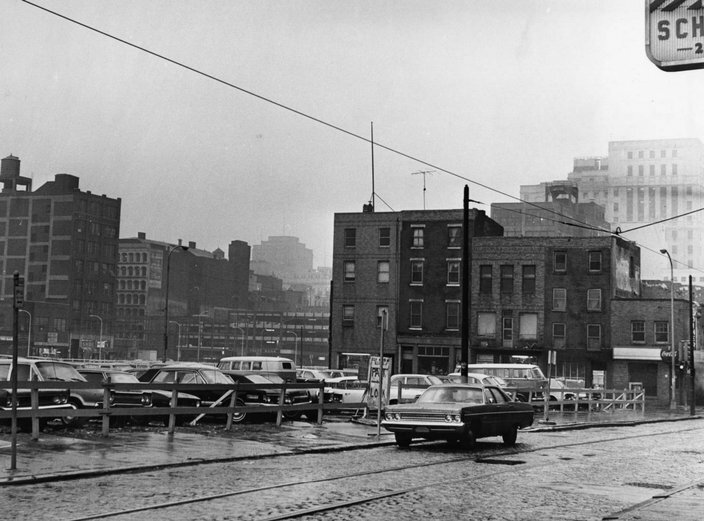 The Chinatown section of Philadelphia around 10th and Race streets with the Benjamin Franklin Bridge in the background, April 24, 1973. 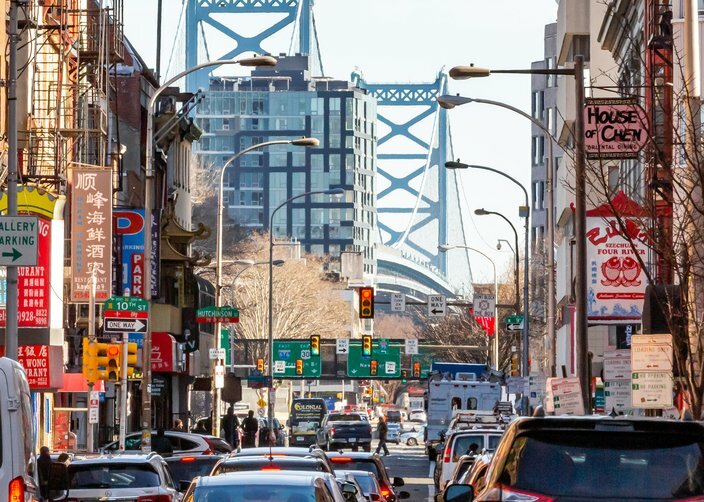 Race Street in Chinatown and the Benjamin Franklin Bridge, Friday, Jan. 11, 2019. 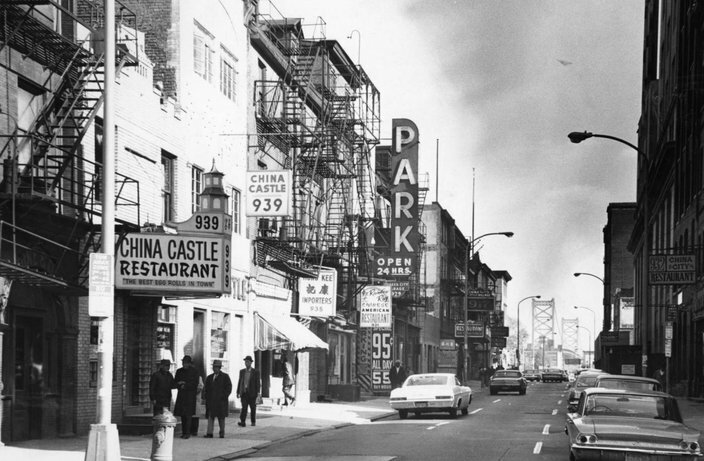 The 900 block of Race Street in the Chinatown section of Philadelphia, Oct. 29, 1967. 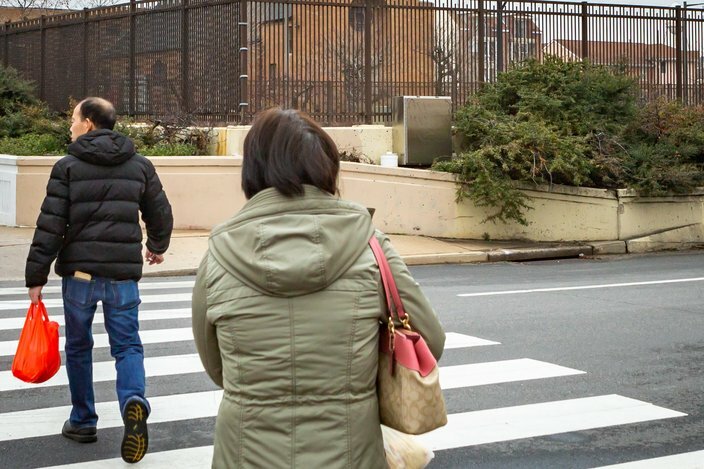 The intersection of 10th and Race streets looking east towards the Benjamin Franklin Bridge, Jan. 4, 2019. 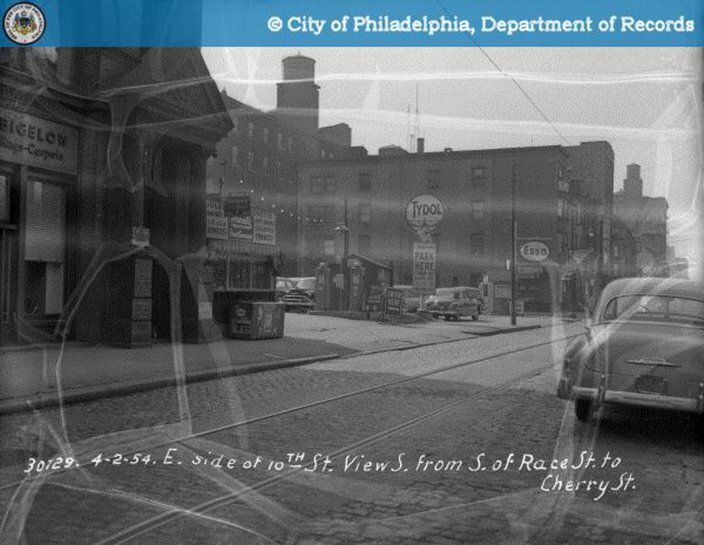 Looking southeast on 10th street between Race and Cherry streets, April 2, 1954. 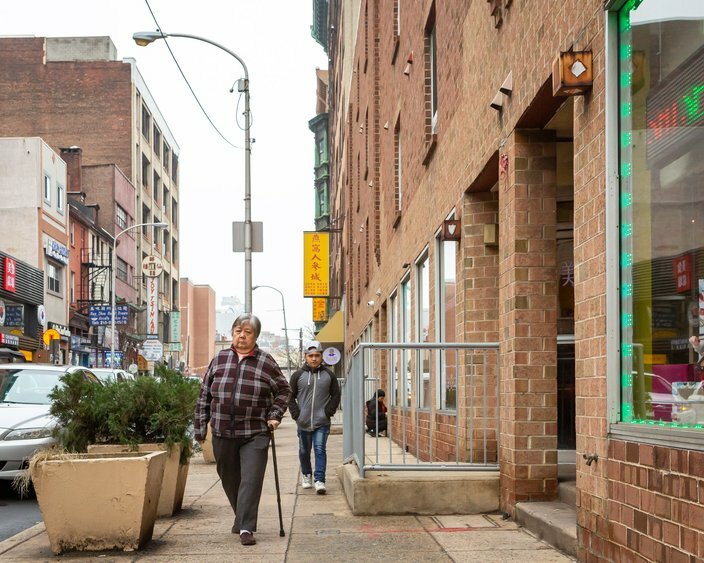 North 10th Street in Chinatown, Jan. 4, 2019. 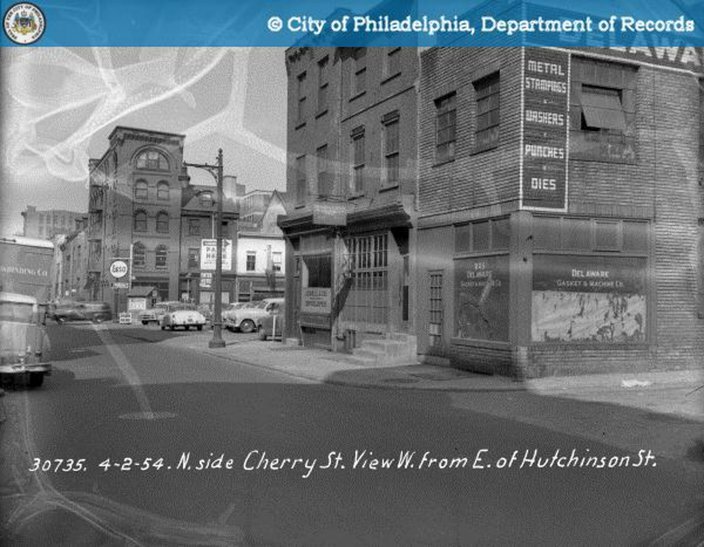 Proposed site of a new fire station near Cherry and Hutchinson streets, April 2, 1954. The rear view of the Philadelphia Fire Department Engine 20 at North Hutchinson and Cherry streets, Friday, Jan. 4, 2019. The 1000 block of Race Street, Oct. 21, 1959. 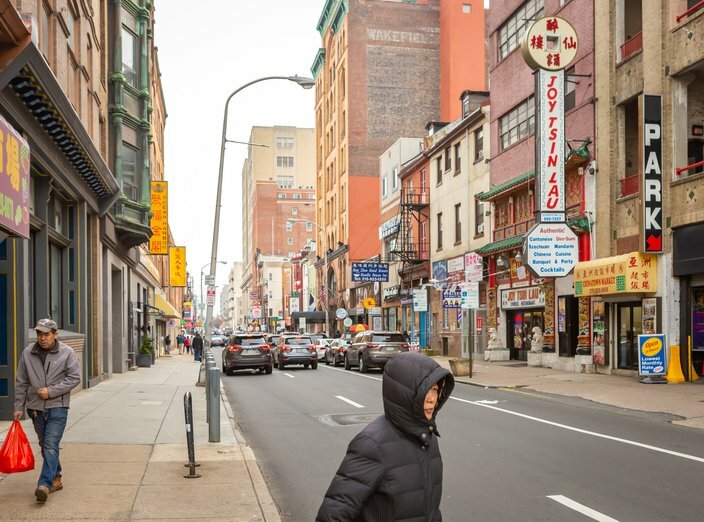 The 1000 block of Race Street in Chinatown Philadelphia, Jan. 2019. 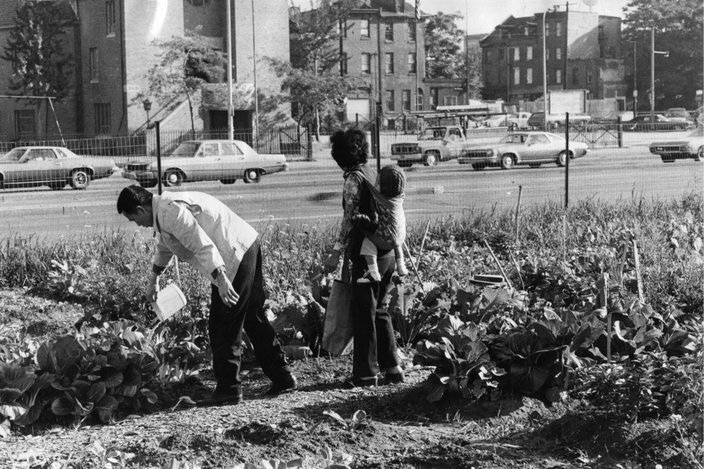 A family takes care of a garden at 10th and Vine streets in the Chinatown section of Philadelphia, Sept. 30, 1976. The intersection of 10th and Vine Street near Interstate 676, Jan. 8, 2019. 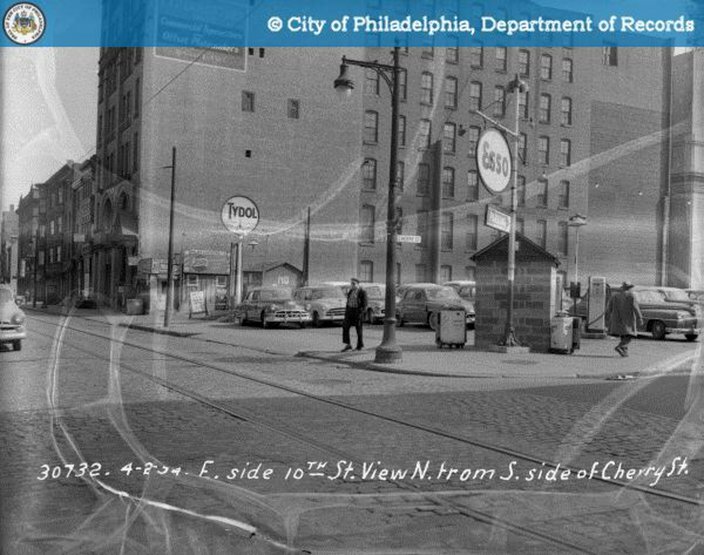 The proposed site of a new fire station on 10th and Cherry streets in Chinatown, April 2, 1954. The Philadelphia Fire Department Engine 20 at the intersection of 10th and Cherry streets, Jan. 4, 2019. 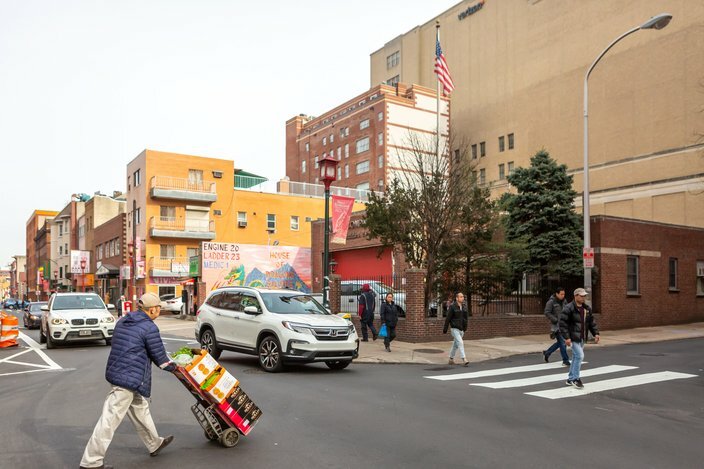 A view of overhead signs on Race Street in the Chinatown section of Philadelphia, April 26, 1974, left, and Jan. 8, 2019. 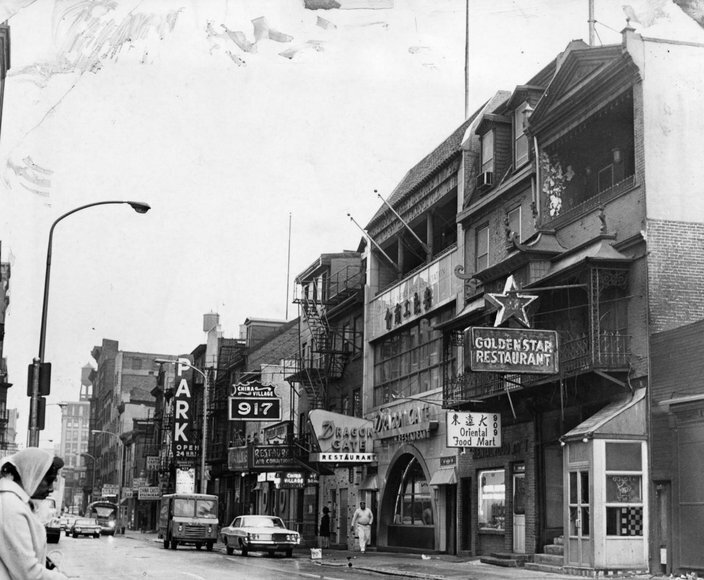 The 200 block of North Ninth Street in Chinatown, Nov. 12, 1969. 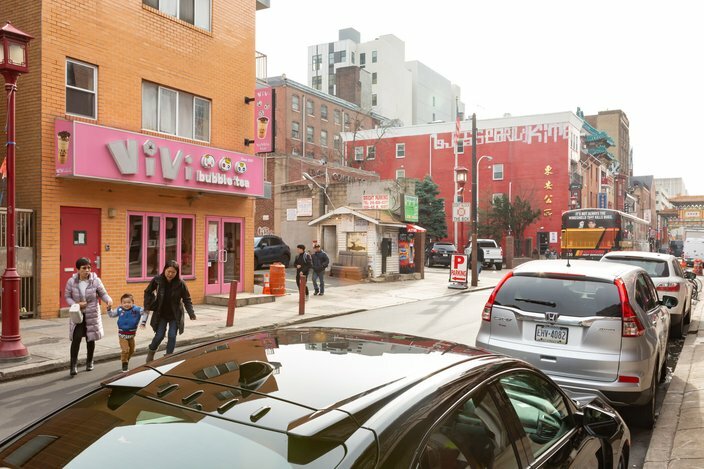 The 200 block of North 9th Street in Chinatown, Jan. 8, 2019. 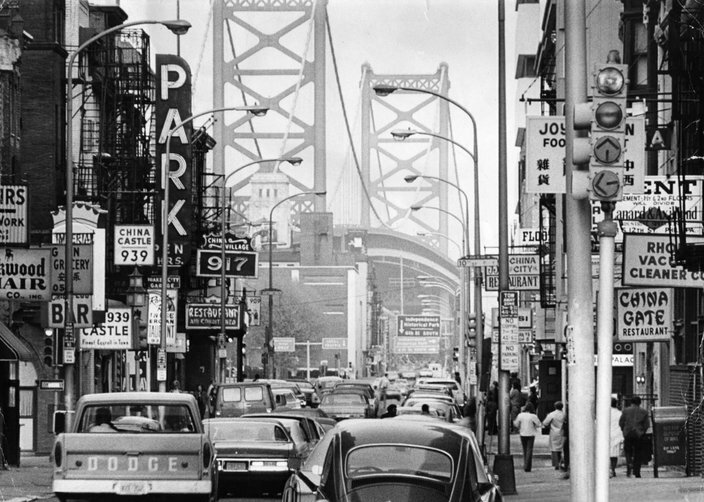 The 900 block of Race Street in Philadelphia, Nov. 12, 1969. 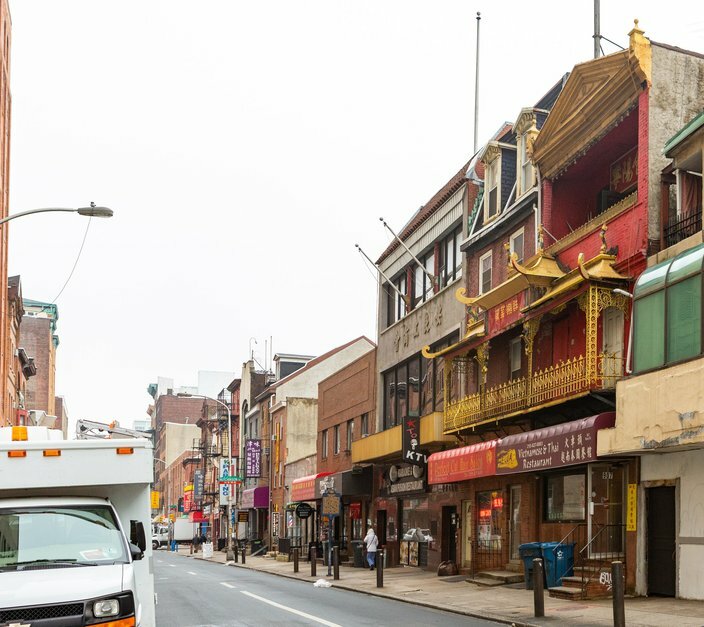 A Pennsylvania historical marker on the 900 block of Race Street stands in the location where the first business in Chinatown was located in 1871. 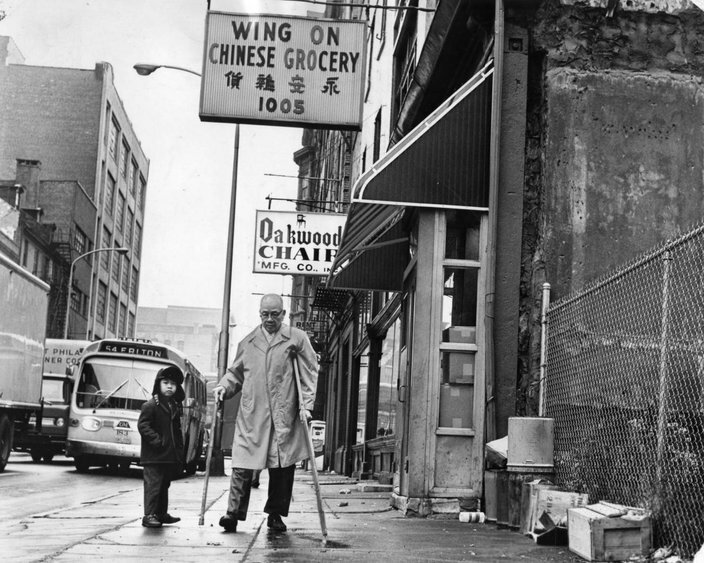 A Chinatown resident walks along Race Street near 10th, Nov. 16, 1969. 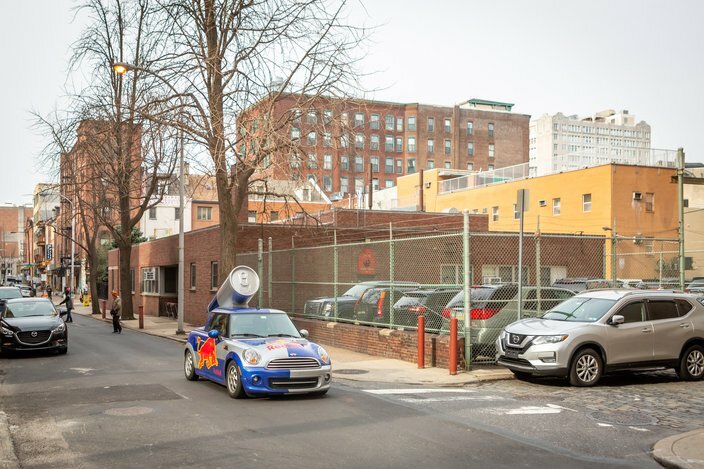 The 1000 block of Race Street in Philadelphia, Jan. 8, 2019.